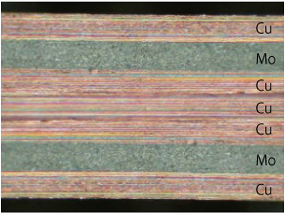 Joint program with Fraunhofer ILT (Germany) leads to the development of new-structured microchannel heat sink which gives the high power LD module a longer life. 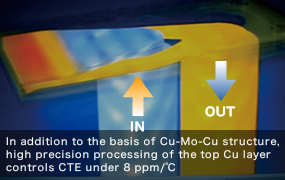 Complement effect between Cu and Mo and microprocessing technology of inside channels make it low electric-resistant and CTE-matched with LD. 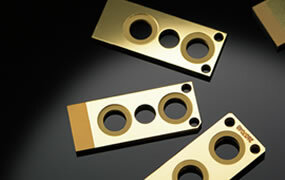 Au coating on the inside of the channels results in the improvement in corrosion prevention. Note: Patented in Japan, U.S. and EPC.